Since making its debut in the US in 2013 – Vanquish – a non-invasive treatment for fat removal and elimination, has become immensely popular worldwide. Now available in Malaysia, this modern treatment utlises radiofrequency (RF) technology to target adipose tissue in the abdominal region, working on areas such as the lower back, tummy and love handles. Proven to eliminate up to 59% of targeted fat cells, Vanquish is suitable for both men and women. Recommended for those looking to shed those last few inches of stubborn fat, targeted areas on the abdomen are heated up while not damaging surrounding skin nor muscle tissue. Following treatments, the body will naturally eliminate destroyed fat cells, and a decrease of two or more inches may be noticeable. Vanquish treatments are free of side-effects, and present a more cost effective option compared to other fat-reduction methods. 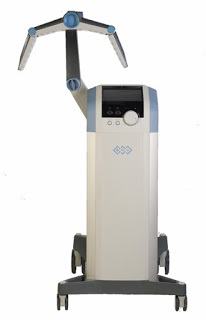 There is no risk of infection nor need for downtime following treatments as they are non-invasive. Each treatment lasts up to 30 minutes, and is painless, requiring no anesthesia. However, patients may experience a warm sensation and temporary skin redness during treatments. What’s the recommended number of treatments? Depending on your body typed and what your doctor recommends, up to 8 treatments (1 per week) are required. Not at all. Vanquish does not make contact with the skin. You may however, experience a “warm” sensation during treatment. 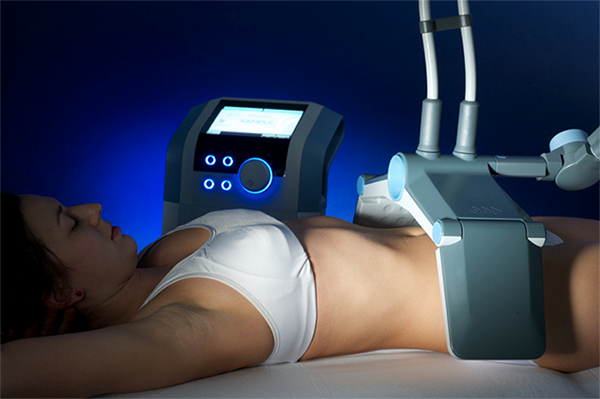 Selective radiofrequency waves are used to target and destroy unwanted fat cells. Do I have to worry about skin and muscle damage? Only fat cells are targeted by Vanquish. Skin and muscle tissue will remain unharmed. Some patients report results within 2-3 months of their last session. There may even be noticeable results after just one or two sessions.